Meathead Movers is here to take care of the heavy lifting for you on your move to Wildomar. Our clean-cut student athlete movers are ready to get you safely settled into your new Wildomar home. This is an exciting time to be moving to Wildomar. The little town that began as a railroad depot in 1884 and is now the most recently incorporated city in Riverside County. Wildomar’s location along the I-15 corridor makes it easy for residents to commute to nearby Temecula. They are also just a short hour drive from San Diego. Folks come from all around Southern California to enjoy water sports at local Lake Elsinore. If you are considering relocation, spend some time browsing our website where you’ll find helpful packing guides and other information that will help you plan your move. An organized move is an easier move and choosing the right Wildomar movers will make a difference. Meathead Movers was founded in 1997 by the then-teenage Steed brothers. They were athletes without a lot of cash, so they started a small moving business to support themselves as they attended school. From the very beginning, people took note of how lively the Steed boys were. They toted and carried and moved and schlepped until the job was done. Their philosophy was to under promise and over deliver and that’s still a Meathead Movers motto. 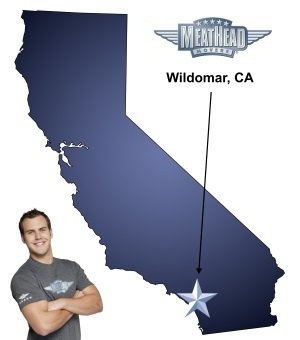 At Meathead Movers, we specializes in local, long-distance, and commercial moves to, from, and within Wildomar. We also provide reliable packing, storage, on-site relocations, and our distinctive moving concierge service, which connects you with local service providers. All our student-athlete movers are thoroughly screened and trained before their first move. They are dedicated to providing you superior customer service and are actively involved in the local community. They’ll even jog back to the truck between loads, to show their dedication to ensuring a fast and efficient move. Contact us today for a free no-obligation moving quote and to learn how we can help you on your next move! With our 100% satisfaction guarantee, the only thing you have to lose is the stress that comes from moving! Moving to Wildomar? Here are some helpful resources. 1919 South State College Blvd. You are con-artist, straight and simple. You advertise as a professional moving company, but failed miserably. I could have picked up five random people off the street and had better luck. You showed up in a little Tonka truck that was already half-filled with moving equipment, and then leave behind half my stuff while breaking the rest. Then you have the audacity to steal from me. It's pure fraud. After the guys left I realized that they had not delivered my trash can, found that they had cracked the basin for the washing machine without saying anything, just put some heavy items in the garage that I needed upstairs, and stacked boxes on containers that read “very fragile do not stack anything on top.” The guys were friendly, but I would probably not use them again. I used MM in the past and had a great experience. This time it was not. I voiced clear directions and concerns many times regarding the packing. The movers were careless with a few pieces of furniture, such as laying a white fabric headboard ON the paring lot blacktop without any wrapping or regard. It is now staineed snd will not come out (the parking lot was just repaved 3 days prior). A leather bench was shoved in between boxes with no protective wrap. I bought mattress bags, and when I saw they were in the pod container with no wrap, they said it did not fit. They did not tell me itherwise, we're just going to leave them off, and instead sold me yours for $16, which us ridiculous. I asked about all of the clearly visible empty spaces that could hold boxes, but was told they needed to leave room. This is not true. As a result, at least 15 boxes and a few pieces if furniture would not fit. The following day, my dad inspected the PODS snd removed more than half of what the guys packed. To be very blunt, they did a crap job. I am not gappy, and frankly had I known would not have topped these workers. I want to negotiate a partial refund due to the negligence and really uncaring attitude. They were 45 minutes late, did not tell me they would be taking a lunch break until 15 minutes prior, and did not advise when my 3 hours of hire was up, so I was surprised when they went overy an extra 45 minutes. Normally I would not complain, but there are so many points that were off, and with the mandatory repacking yesterday I cannot stay silent. I will not recommend MM to friends or family, and will not use your company again. For nearly $800 in labor, and having to repack appropriately and effetuvely, it was a horrible expensive mistake. Please have a supervisor contact me. Everyone was very professional and courteous. They did a great job and I was very pleased with the service. Well organized and pleasant experience from beginning to end. Staff are extremely professional, friendly and competent!!! Very professional and friendly! They were hard working and very thorough when they were packing.